For this weekend, we will learn how to brew your own beer and taste the brew of some locals. Everything is included in the price: lodging, meals, packing in of your personal items, instructions on how to brew beer, taste of some how-brewed beer, and beer from local breweries. If you want to join also for Friday night, just add that on. Join us for a great weekend with new friends as John & Ruth Wood teach us how to brew beer like they do in their rustic Big Santa Anita Canyon cabin. 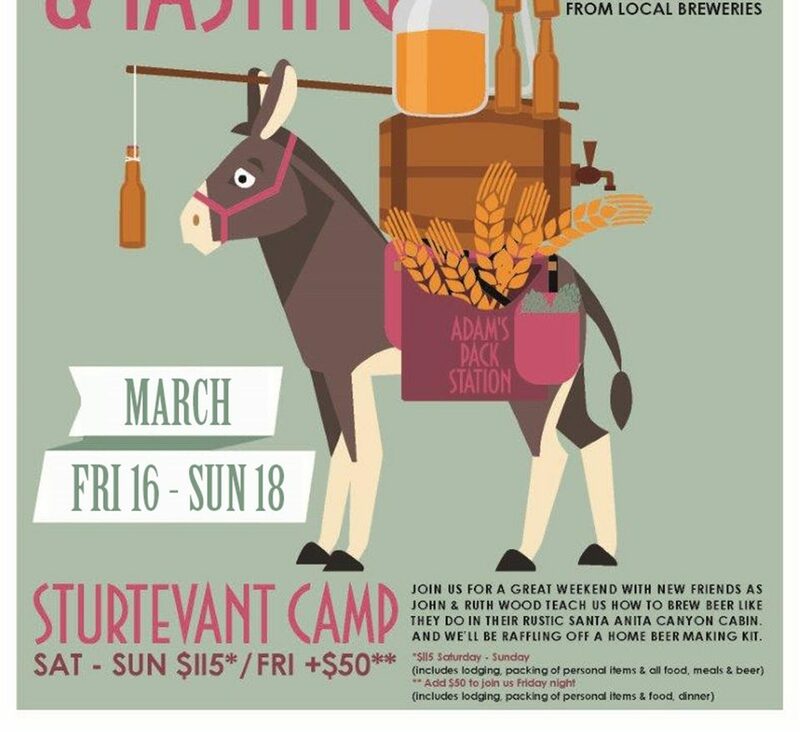 Back in the late 1800’s and early 1900’s, Sturtevant Camp brewed its own beer. This year, almost 125 years later, we are returning to that tradition. It is month away from our Beer Making / Tasting event and the beer we will tasting is beginning to brew. We will learn at the event how to actually make beer in this rustic environment. In addition, we will taste the brew from some local breweries. Truly a great weekend for old friends, new friends, and families. Spaces are going quickly. Do not hesitate to register. Remember that you may win a brewing kit of your own. Before filling out the reservation form, please review our policy statement and the liability waiver.